It was the tale of two Martin Shkrelis in Brooklyn federal court Wednesday – as one tried to find a juror who didn’t hate his guts while the other was charged with laundering $800,000 in purported drug proceeds. Martin Shkreli – who is of no relation to the 34-year-old currently on trial for securities fraud – was among nine charged with laundering the hundreds of thousands of dollars in an operation that also netted marijuana and various weapons that originated from Kosovo. One of the defendants, Albert “Benny” Veliu is charged with selling weapons that he referred to in secretly recorded conversations as “sneakers” — more than a dozen AK-47s, as well as an M80 Zolja anti-tank rocket launcher he called a “Shaq-sized sneaker,” feds said. Feds used three confidential sources to bring down the crew, which includes Dilber Kukic, the general contractor charged with manslaughter in the deadly 2015 East Village building explosion, and Christopher Curanovic, who’s currently serving a 10-year sentence on racketeering charges tied to Colombo gangster John “Sonny” Franzese. The 59-year-old Shkreli, and others, allegedly cut “clean checks” from accounts he owned to help launder the dirty money obtained from go-between Veliu, according to a criminal complaint filed Tuesday. Veliu, Curanovic, and another associate Anthony Noterile were caught on wiretaps brokering a deal with the confidential sources to provide money laundering services in exchange for a cut of the cash. The scheme unfolded in October 2016, after “Confidential Source 1” went to feds for help after Curanovic threatened him over a $40,000 debt he owed in “protection money” to the Genovese crime family. Veliu and Curanovic are also accused of arranging to buy marijuana from California dealer Trish Lum. 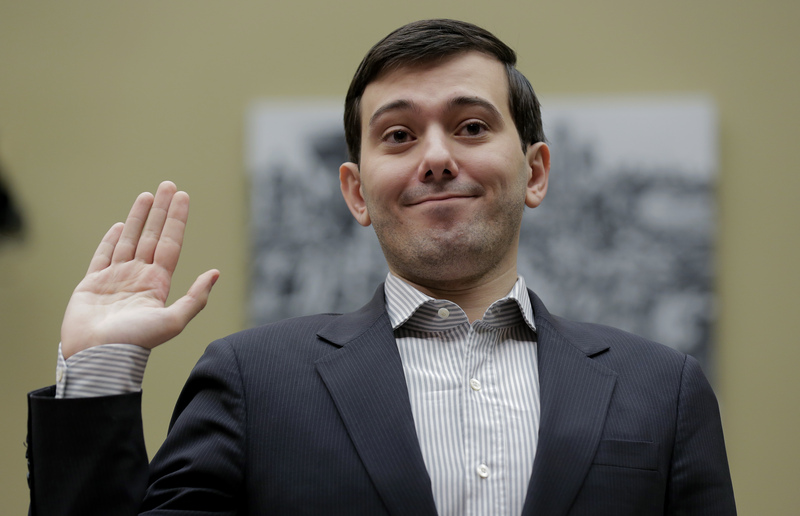 Lum and Shkreli have not yet been arrested, officials said. The others were arraigned in Brooklyn federal court Wednesday afternoon. Meanwhile, in a courtroom four floors up, lawyers for Martin Shkreli — the former founder of biopharmaceutical firm Retrophin — and prosecutors struggled to impanel a jury. The “Pharma Bro,” who notoriously jacked up the price of a life-saving AIDS drug, is charged in an $11 million Ponzi scheme.